About: These ads were featured in the Kiteboarder Magazine and the Kiteboarding Magazine. 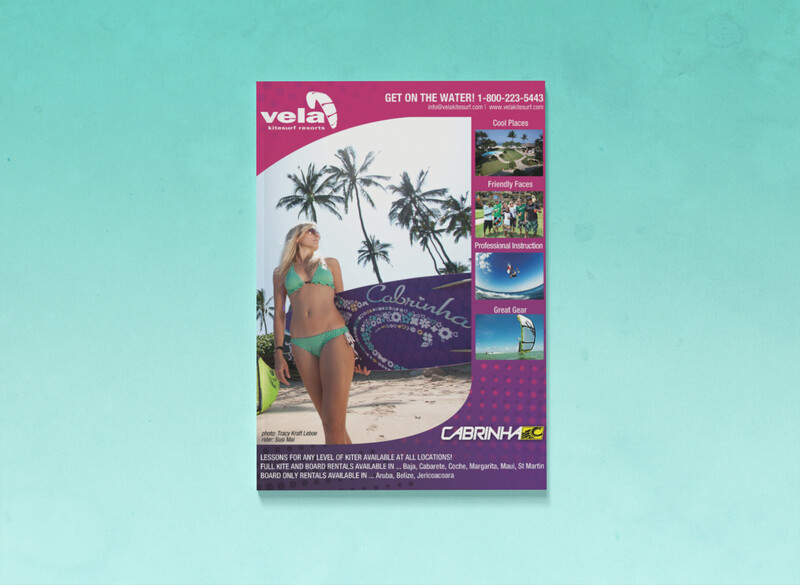 This was during my time as contract designer for the Kiteboarder, I was tasked with creating a single page and spread ad for Vela Kitesurf Resorts. I was given the assignment the night before the ad was due to the publisher while I was on vacation. An all nighter later and I had a happy client.